Delivery: Get Your Order within 3-4 Business days. 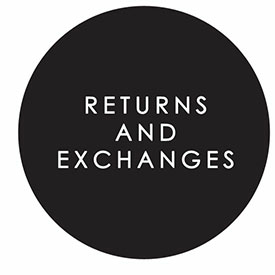 Return: We provide Free Returns up to 30 days. Please contact Customer Service by calling or mailing us. Get your return request registered first. Refund will be processed within 2-3 business days upon receipt of your package. The refund will be issued to your original payment account. At Sparkling Selections, we provide some of the latest styles, fashions, trends and best promotions along with contests and giveaways so get in touch with us on Social Media.